Everyone is enjoying release of Facebook Live feature on smartphones.Facebook Live is the best way to communicate with audience in real time and build strong relationships.People are sharing their live video using live streaming service on FB.Facebook live feature has been newly introduced on smartphones having Facebook application installed in them.Before this, the option was only for people who owned a Facebook Page.Whenever our friends come live on Facebook we see a notification.Now every Ios or Android mobile user can broadcast live on Facebook profile easily but this option is not yet available on PC / Macs.If you are not able to use Facebook Live on your smartphone or do not have an access to smartphone you can simply go live on Facebook using your computer.There are many ways to stream live on Facebook from PC.For guiding you I’ve captured the whole process and made a video tutorial as well as step-by-step written guide.Now you will be able to Stream Live On Facebook From PC. Download and install Xplit Broadcaster: Xplit Broadcaster is a live broadcasting tool used to go live on Facebook , Youtube,Dailymotion etc.Using this software you can broadcast live on Facebook with single click.After you have downloaded this software simply login or register.You can login using your Facebook or Twitter account. After logging in the main screen of Xplit Broadcaster appears.Click on ”Add” and a tab will appear with lot of options showing what you can broadcast live.Xplit broadcaster has various features and this is why I prefer it over Open Broadcaster software (OBS).You can broadcast your real time screen capture, game playing,any Media file like image or video or HTML,webcam or other video capture device,text and other sources.Simply add anything you want and it will show up on screen of Xplit Broadcaster.You can also customize this screen and add multiple things in one screen. After you’ve added all the inputs you are simply ready to go live on Facebook on PC.Click on output tab of software and hover over ‘Set Up A New Output’.You will see various options here.Choose Facebook Live.If Facebook live option is not present there then there are two solutions.First click on ‘get More Outputs.It will redirect you to the plugin store and from there choose ‘Facebook Live‘.Second,you are using an old outdated version of Xplit Broadcaster so kindly update. After clicking on Facebook Live click on ‘Authorize’ button and a login page of Facebook will show up.Simply login to it and allow permissions to the app.After you have logged in choose where on Facebook you want to be live on.You can choose this by click on ‘Post as’.It will show up your profile name and all your Facebook Pages. After you have selected your page or profile write the title of your Facebook Live Broadcast and description if needed and click on OK.
Now you are all set up and ready to be live on Facebook using PC.Click on output on the top and your Facebook profile/name will appear.Click on that and within few seconds a read bar will appear on top Of Xplit Broadcaster and you will be live on Facebook. 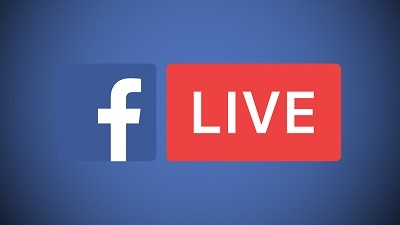 When you are done with your Live broadcasting session on Facebook and want to quit go again on Outputs tab and click on Facebook Live (it will be ticked before) and your live streaming session on Facebook will end. Open Broadcaster Software (OBS): It has same functions as Xplit broadcaster and is also available freely.